Chinese Leader Arrives Today For State Visit : The Two-Way Chinese President Hu Jintao arrives; political confusion in Tunisia; Giffords' husband speaks; Michelle Obama birthday; zodiac wrong? 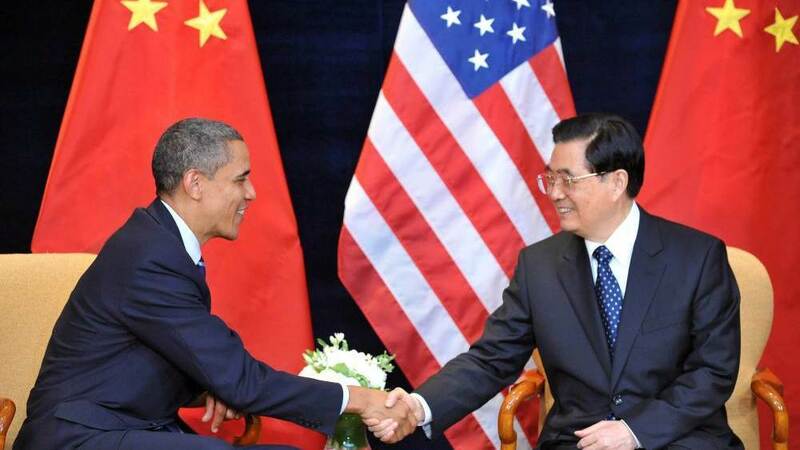 President Barack Obama shakes hands with Chinese President Hu Jintao before the G20 summit in Seoul last November. Chinese president Hu Jintao lands at Andrews AFB later this afternoon, where Politico reports he'll be welcomed by Vice President Joe Biden. Tomorrow night, Hu will literally receive red-carpet treatment; the Washington Post explains why the Obama Administration is hosting a black-tie, state dinner in the Chinese leader's honor. Tunisia's interim Prime Minister Mohamed Ghannouchi defended his government in a radio interview; the AP reports he called it a necessary step in a new 'era of liberty'. CNN says some Tunisians are upset because Ghannouchi retained many of the same ministers who served ousted President Zine al-Abidine Ben Ali. 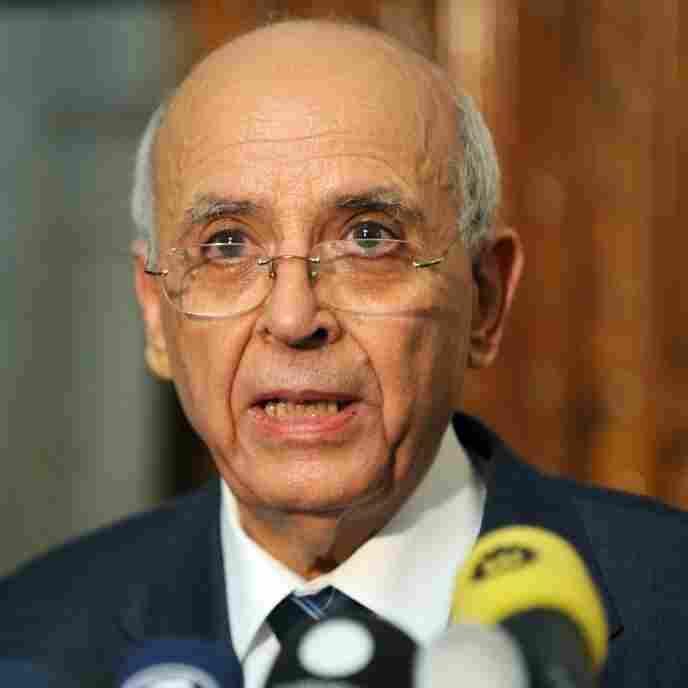 The BBC reports three junior ministers have changed their minds and quit Tunisia's interim government. 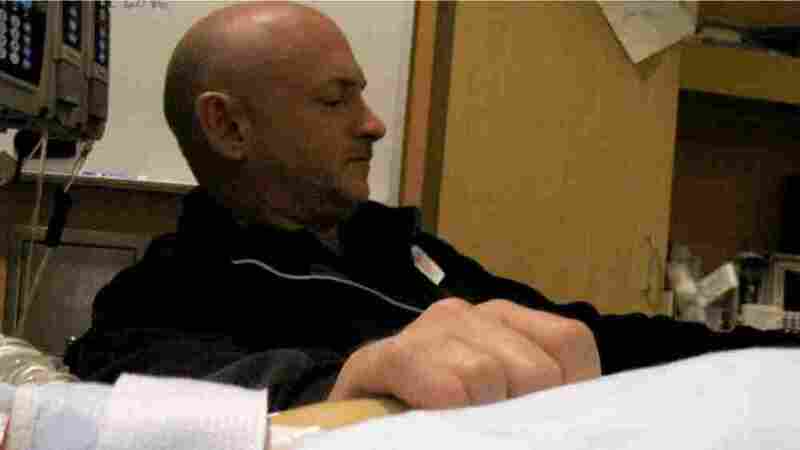 Mark Kelly, husband of U.S. Rep. Gabrielle Giffords (D-AZ), holds his wife's hand. ABC's Diane Sawyer has the interview with Rep. Gabrielle Giffords' husband, Mark Kelly, who says the wounded congresswoman recognizes him. "She stuck her hand up on the side of my face this morning," he said. "I'm pretty sure she wouldn't do that for somebody else." She also gave him a neck rub. 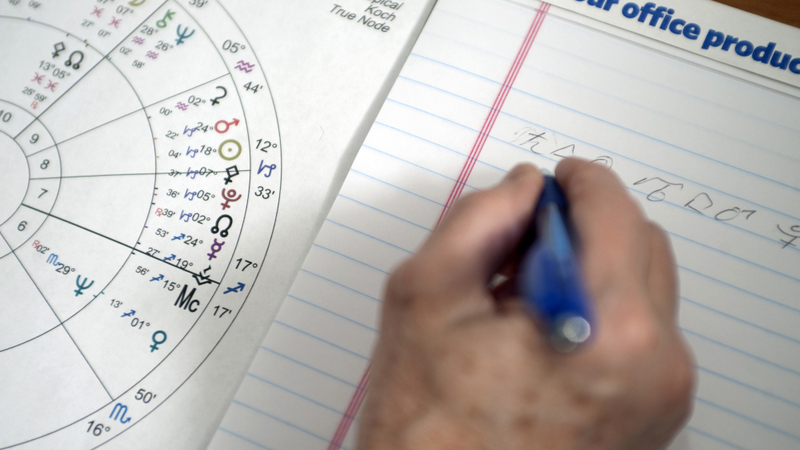 An astrologist works on an astrological chart. ...that has created about a one-month bump in the stars’ alignment, meaning that “when [astrologers] say that the sun is in ­Pisces, it’s really not in Pisces,” said Kunkle, who teaches astronomy courses at Minneapolis Community and Technical College. Is Mrs. Obama really a Sagittarius?